Thank you for your interest in fostering with Rescue Dogs Rock NYC. Please fill out all fields in the Foster Application below and make sure to review the terms and conditions carefully before signing. Applications submitted with unaltered dogs in the residence will automatically be denied unless your vet provides medical reasoning. A home inspection must be conducted virtually, in-person, or both. RDRNYC does not have a physical location and we depend solely on foster families to care for our rescue dogs. Foster families love the dogs, care for them and help to socialize and train them until a forever home is found. When RDRNYC is looking to rescue a dog, we cannot do so unless a foster home is available. We currently accept foster applications from the following states: Maine, Rhode Island, Vermont, New Hampshire, Massachusetts, Connecticut, New York, New Jersey, Delaware, Pennsylvania, Washington DC, Maryland and Northern Virginia. Please consider opening your heart and home to a foster dog… it is an extremely rewarding experience! If you rent please provide us with your landlord's contact information. If you own a co-op or condominium please provide management or board contact information. If not applicable, please marked fields below as N/A. Include name, age, relationship to you, and occupation. Animal name, breed, type (dog, cat, etc.) Gender, approximate age. If yes, which rescues or shelters have you fostered with? This agreement reflects the commitment between RDRNYC and a foster home for a dog or puppy. I/We (household residents) agree to foster and provide a safe home for (please enter animal's name or “open’ if no dog selected yet) and treat him/her as a family member. We agree NOT to change the name of the dog and to use the RDRNYC given name in all correspondence, vets appointments, social media posts, updates, etc. We agree to follow the decompression guidelines provided by RDRNYC for any new foster dog. We agree to work with RDRNYC to have the dog attend adoption events and meet and greets as and when they arise. We understand that RDRNYC will inform us of the known health history and disposition of the dog we are fostering. Even so, there are many unknowns with a rescued dog and we agree to watch for any health and behavioral issues that may develop while the dog is in our care. Should anything develop, we will notify the rescue immediately. We will request authorization from RDRNYC prior to taking the dog for any vet care and are aware that RDRNYC has specific veterinarians and clinics we must visit with that authorization. RDRNYC does not pay for nor reimburse for veterinary care under any circumstances without prior authorization. If we do not obtain authorization or visit a vet other than one designated by RDRNYC, we will be responsible for payment of all fees incurred. If the dog suffers any injury while in our care we are financially responsible for all vet care needed due to the injury. We will administer monthly heartworm and flea/tick preventative medication which will be provided by RDRNYC upon our request. We understand all foster dogs are the property of RDRNYC. If we wish to adopt the dog, we are aware we must complete and comply with RDRNYC’s application process. We understand that our application to adopt will be considered along with other applications and that the final decision rests solely with RDRNYC and its representatives. If approved for adoption we agree to pay the applicable adoption fee. 1. Foster agrees the dog is to be treated as a family companion and agrees to provide the dog with a safe home, adequate food, water, proper care, exercise, love and attention. Foster agrees not to violate any laws or ordinances with the dog. 2. Foster agrees that the dog will be confined inside the home when no one is at home. When the Foster will be away for a prolonged period of time or vacation, Foster agrees to arrange for proper care of the dog (with RDRNYC’s assistance, if needed) and notify RDRNYC in writing via email or otherwise of such arrangements. 3. Foster agrees to have a clean, secure fenced area for the dog. If Foster uses invisible fencing, the Foster agrees to provide sufficient training to the dog before releasing it inside the system. If no fencing is available, Foster agrees to leash walk dog. Under no circumstances is the dog to be kept routinely on a runner, tie out or be allowed off leash. 4. RDRNYC makes no representations, guarantees or statements regarding the dog's age, breed, health, or temperament. While RDRNYC makes every effort to provide an accurate history and assessment of the dog, we are not able to guarantee the dog’s age, breed, medical status, behavior or disposition. 6. RDRNYC, and its representatives shall not be held responsible or liable, in any way or for any reason, for the actions of the dog when it is not within our immediate care, custody and control. 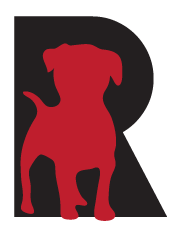 RDRNYC is available to consult, advise and provide assistance to maintain and enhance the health, training and compatibility of the dog. 7. If for whatever reason the Foster is unable to keep the dog, the Foster MUST return the dog to RDRNYC. The Foster agrees not to re-home, give away, sell or otherwise dispose of the dog without the express written consent of RDRNYC. Foster acknowledges that all potential adopters must be approved and screened by an RDRNYC representative. Foster agrees NOT to release the dog to any friends or family who has submitted an adoption application before an approval to adopt is issued by RDRNYC. 8. Foster agrees to allow RDRNYC to conduct home visits, wellness checks and telephone check-ins at its discretion to ensure the welfare and safety of the dog. 9. In the event any of the terms of this Application and Agreement are breached by Foster, RDRNYC has the right to rescind the same and demand the immediate return of the dog at any time. If Foster fails to return the dog, RDRNYC will seek a Court Order for the return of the dog and will seek liquidated damages from the Foster in the amount of $750 plus any court costs and attorney’s fees. Payment of such damages shall not relieve or excuse Foster from returning the dog to RDRNYC or any further liability. 10. This Application and Agreement is a legal contract shall inure to the benefit of and be binding upon Foster and RDRNYC, and their respective successors or beneficiaries. Both parties have fully read and understood all of the terms hereof, which sets forth all promises, conditions, and understandings, oral or written. By signing this Application and Agreement electronically, you the Foster, accepts and acknowledges all of the terms and conditions set forth herein and all risks which may be associated with the housing and handling of the dog. As the Foster, you further understand, and agree TO INDEMNIFY AND HOLD HARMLESS RDRNYC and its representatives from any and all claims, demands, actions, causes of actions, or liability of any kind whatsoever arising out of or in connection with this Application and Agreement, and from any all liabilities pertaining to the actions of the dog when in the Foster’s possession or control irrespective of whether the Foster is present or not, including but not limited to any claims, actions or causes of action for injury to person or property, or other damages caused by the dog to any person or property. By inputing your name above it will serve in place of actual signature.